Larry Charles’ Dangerous World of Comedy Season 2: Release Date, Cast, Renewed or Cancelled? Comedy can help you overcome some of the most difficult circumstances. Today, comedy has moved beyond stand-up shows and slapstick humour. It is used to criticise the government, talk about political agendas, and make people more aware of the world around them. Netflix’s Original documentary, Larry Charles’ Dangerous World of Comedy, that premiered February 15, 2019, takes us around the world in search of comedy in the darkest of places. Larry Charles’ Dangerous World of Comedy Cast: Who is in it? Since it is a documentary, it primarily focuses on comedians interviewed by Larry Charles. Some of the comedians that feature in the series are Sammy Halabi, Thom Tran, and Ahmad Rawf. Larry Charles’ Dangerous World of Comedy Plot: What is it about? A former writer of the hit and iconic comedy series Seinfeld, Larry Charles is on a mission to find comedy in the least expected places – countries affected by war, people who are oppressed by a tyrannical government, and places that are not yet liberated. 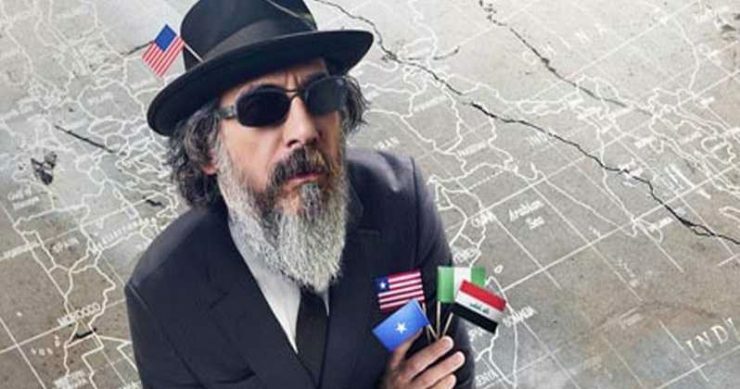 Larry Charles visits countries like Iraq, Nigeria, Saudi Arabia, Palestine, Turkey, Liberia, and the USA. He interviews standup comedians, actors, radio jockeys, and TV hosts to paint a better picture of what comedy means to them and why they do what they do. It is not easy being a comedian in countries like Iraq where people are executed for speaking up. The first episode takes us to war-zone Iraq, a country that has faced more than 1000 years of war. Larry Charles’ talks to actors from the hit comedy show Bezmi Bezm who have one million viewers every week. It is heartwarming to see people forgetting about their problems and having a laugh with their friends and families. It is good to know that no matter what war kills, it cannot kill comedy. Comedy is resilient, and the people who carry the power of resilience are the strongest. Like comedian Ahmed Albasheer who was kicked out by his father for listening to forbidden music- i.e. Back Street Boys. He was later kidnapped off the streets and subjected to torture. He says in his interview with Larry that he used comedy to win over his assailants and survive the ordeal. Today he has his own The Albasheer Show which is inspired by the American show, The Daily Show. Albasheer makes fun of the current political environment and draws heavily from his own experiences of Iraq. He interviews prominent musicians, actors, authors, and even political figures. We are all aware of the American brand of comedy and satire, but the show aims at teaching us about how difficult it is for comedians to survive, let alone thrive in countries such as those covered in the series. The series throws light on Put him in the Bucca, a prank show in Iraq where celebrities are forcibly taken in by armed personnel. A fake bomb is placed in their cars. Even their prank shows are intense and dramatically different from what we are used to. The buzz-feed style of editing with random clips, especially from Seinfeld keeps the tone of the series light and humorous, although, a lot of graphic content like footage of war, police brutality, and even savage videos of people being gutted alive, is a part of the narration. We live in a world of chaos and people are increasingly becoming less tolerant and more violent. The show is a must watch for its realness and for its unfiltered truth. When you learn about the route comedy in a country has taken, you will understand its past, present, and future. Larry Charles’ Dangerous World of Comedy Season 2 Release Date: When will it premiere? Season 1 of the show made its premiere on Netflix on February 15, 2019. The show has four parts featuring different countries with a run time of an hour each. The show is well researched and one of the first to document comedy in non-western countries. It received a lot of backlash from the government of these countries, and the lives of the crew were threatened. As far as the next season goes, we don’t have an official announcement yet. Though considering the uniqueness of the show, we would be surprised if it doesn’t get renewed. Our best guess is that if the show does get renewed, Season 2 of Dangerous World of Comedy can release sometime in February 2019. We will update this section as soon as we hear more. If you enjoy informative documentaries and are a fun of the comedy culture make sure to catch up with the new Netflix originals- Larry Charles’ Dangerous World of Comedy. The series is not too long with just four episodes and can be binged. Netflix has a great track record of bringing us interesting content and has done a great job with this new addition. The dark-humored and witty Larry Charles’ does a fabulous job of bringing the stories of the many people affected by violence and war. We do not live in a world of rainbows and unicorn, and this show will open your eyes. Watch the official trailer below to get a head start into the series. The entire season is available to stream on Netflix.